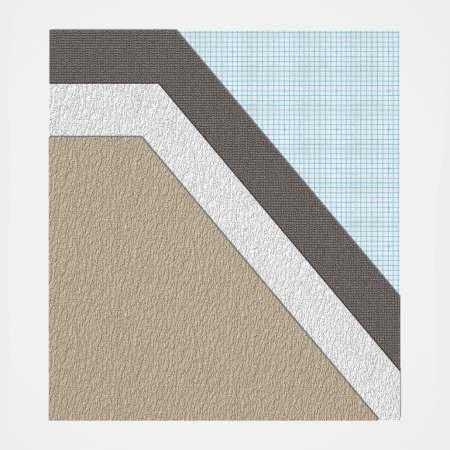 The Unitex Base Board™ system, part of the Uni EIFS™ range, is a low build insulation cladding system made locally at the Unitex® manufacturing facility by applying a specially formulated polymer render coating and reinforced AR/FG Mesh to EPS panels. Download the Unitex Base Board brochure. Uni-Base Board is available in a standard size of 1200 mm x 2400 mm at the required thickness for the thermal comfort specified for the project (generally 50 mm, 75 mm or 100 mm). Changing methods of traditional building using fired bricks and concrete blocks, in the age of government mandated energy rating systems, is shown to be inefficient, especially when considering a building’s R-value and energy saving over time. In addition, recent legislation concerning ‘safe working heights’ and scaffold load requirements for heavy brick/blockwork will mean these traditional systems are inefficient, particularly above the ground floor. Used in the construction industry to insulate, protect and decorate the exterior of a building structure, the Uni-Base Board EIFS system is the most technologically advanced method of insulating your project. Regardless of the building’s age or wall composition, almost any type of structure can be insulated without losing interior floor space. Uni-Base Board is lightweight, rainproof and yet water vapour permeable to prevent condensation problems. The lightweight wall cladding system is highly energy efficient and provides a virtually maintenance-free exterior when installed correctly.